"FREE Giveaways ALL DAY long! 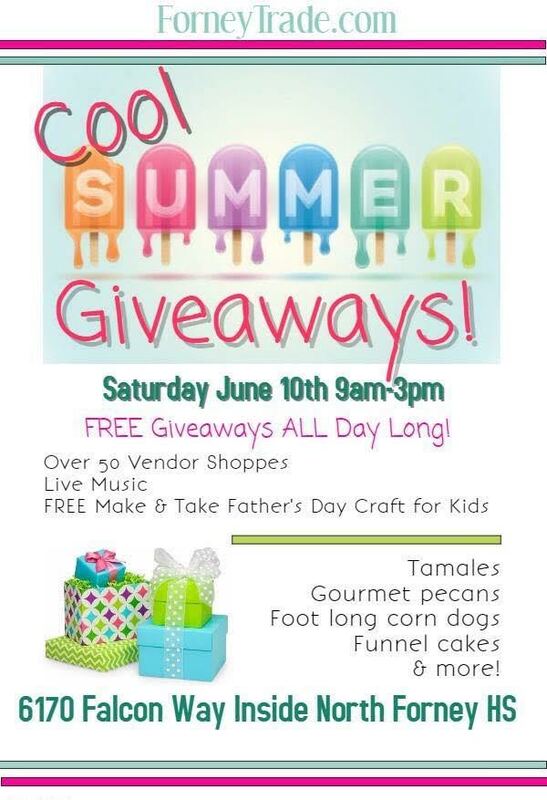 Over 60 vendor shoppes & Great food - tamales, gourmet pecans, foot long corn dogs, funnel cakes & more!v - FREE Craft for Kids! Live Music! Free admission and parking!"